Coca-Cola has long made some pretty crazy health claims about its sugary products. A fresh lawsuit takes aim at the company for “engaging in false and misleading marketing of sugar-sweetened beverages,” according to the lawsuit, first reported by the Center for Science in the Public Interest. A 20-year study on 120,000 men and women found that people who increased their sugary drink consumption by one 12-ounce serving per day gained more weight over time—on average, an extra pound every 4 years... One study found that for each additional 12-ounce soda children consumed each day, the odds of becoming obese increased by 60% during 1½ years of follow-up. An article comparing a slew of other studies published in the American Journal of Clinical Nutrition found no link between sugary drinks and obesity, but the American Beverage Association helped fund that study. When an independent set of scientists reanalyzed the data from the industry-funded study, they found a clear relationship that the first authors had (knowingly or not) obscured by introducing various extra calculations into their data. Sugary drinks contribute 2 percent of the calories of the British diet. James Quincey, Coca-Cola’s President and Chief Operating Officer made this claim during an interview with Jeremy Paxman on BBC Two in 2013. I couldn’t find where he pulled the statistic from. But as a quick calculation, if you had one sixteen ounce bottle of Coca-Cola every day, which contains about two hundred or so calories and ate the recommended 2600 calorie diet for a moderately active 30-year-old man or 2000 calories for the 30-year-old woman, that’s around 7.5 and ten percent, respectively. Even if you ate 3,500 calories, the amount eaten daily on average by people in the industrialized world, a daily soft drink is 5.7 percent, not 2. Plus, in the United States, a 2005 report from the Center for Science in the Public Interest found that carbonated soft drinks made up seven percent of American’s calories in the period from 1999 to 2001. And if you look at carbonated soft drinks combined with fruit drinks and ades, these drinks provided teenagers 13 percent of their calories in 1999 to 2000. Those numbers certainly make the 2 percent figure look a little low. This quote comes from a 2015 ABA press release published in response to a proposed California law that sugary drinks should have a warning label, attributed to Lisa Katic, a registered dietician who consulted for food industry companies, including the ABA. Now, sugary drinks aren’t the cause of type 2 diabetes but are definitely a contributor. One meta-analysis, or study that pooled other studies together, found that those who drank 1 or 2 servings of sugary drinks a day were 26 percent more likely to develop type 2 diabetes as those who drank less than one a month. Other meta-analyses have confirmed the sugary drink—diabetes link, and another study measuring sugar intake around the world found that every 150 calorie increase in sugar availability per person per day came with an increased diabetes of 1.1 percent. One of the biggest risk factors for type 2 diabetes is being overweight, and a diet high in calories from any source contributes to weight gain. However, research has shown that drinking sugary drinks is linked to type 2 diabetes, and the American Diabetes Association recommends that people limit their intake of sugar-sweetened beverages to help prevent diabetes. Nutritionist Robyn Flipse equated included Coca-Cola mini-cans alongside packs of almonds on her website as sensible snacks, or “select portion-controlled versions of your favorites... for a meal that won’t break the calorie bank, helping you manage your weight for better heart health.” What’s important about this claim is that Flipse was, as of March 2015, one of Coke’s “Health Professional Partners.” So, essentially, that claim was product placement; at least, that’s what Coke spokesperson Ben Sheidler compared these kinds of posts to, according to an Associated Press report. 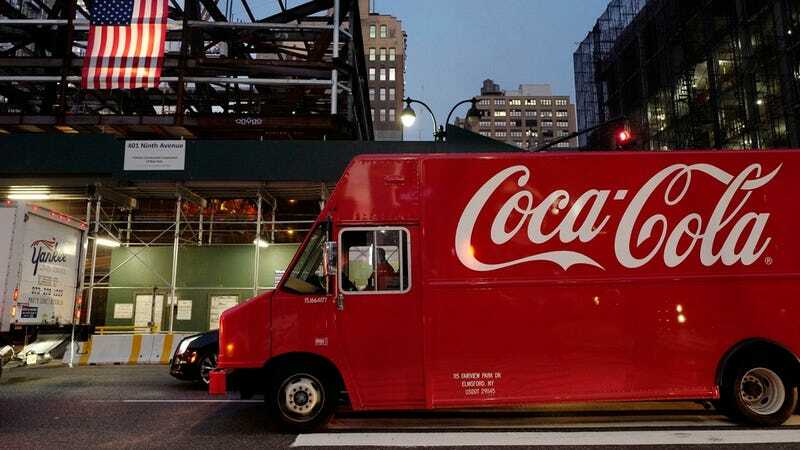 Coca-Cola once helped fund a nonprofit, the Global Energy Balance Network, to put more pressure on lack of exercise as the main cause of the obesity epidemic. While the website is down and the group has since disbanded, The New York Times reported that this statement appeared on the group’s website, with two Coca-Cola funded research articles provided as proof. Lots of people say lots of different things on diets, including whether a calorie of sugar, a calorie of protein and a calorie of fat do the same thing. However, plenty of studies have shown that eating more food makes you weigh more. I sent these statements to Coca-Cola, whose spokesperson responded with all these links and this statement. This lawsuit is legally and factually meritless. We take our consumers and their health very seriously and have been on a journey to become a more credible and helpful partner in helping consumers manage their sugar consumption. To that end, we have led the industry adopting clear, front-of-pack calorie labeling for all our beverages. We are innovating to expand low- and no-calorie products; offering and promoting more drinks in smaller sizes; reformulating products to reduce added sugars; transparently disclosing our funding of health and well-being scientific research and partnerships; and do not advertise to children under 12. We will continue to listen and learn from the public health community and remain committed to playing a meaningful role in the fight against obesity. It remains to be seen whether the ABA or their affiliates made these statements with ill intent. However, without a doubt, sugary drinks play a role in the type 2 diabetes and obesity epidemic.